GIZ has partnered with Mörk Water Solutions, a German company, to install the first solar and wind-powered desalination plant that filters drinking water from saltwater near Zanzibar City. The plant supplies water to 600 inhabitants, 100 litres of drinking water per hour. Now even poor households can afford clean water at the equivalent of three euro cents per litre and protect themselves from water-borne diseases into the bargain. Moerk Water Solutions is currently running a pilot project in Zanzibar, Tanzania, in cooperation with GIZ. This project is being funded by the German Ministry for Economic Cooperation and Development (BMZ) and Dow Chemical. The aim of the project is to improve access to a self-sufficient, ecologically sustainable and inexpensive supply of drinking water for the population in neighbouring areas of Zanzibar. The partners worked together to install the first desalination plant near Zanzibar City. The plant supplies water to 600 inhabitants, is operated by solar energy and wind power, and provides 100 litres of drinking water per hour. Now even poor households can afford clean water at the equivalent of three euro cents per litre and protect themselves from water-borne diseases into the bargain. The cost of installing the plant will be recovered within four years. The University of Karlsruhe was involved in developing the plants, and also helped to devise the training courses for independent operation of the plants by local communities. A local training institution carries out the courses to train local experts. A second plant has been installed on Kokota Island, which is home to a fishing community of 300 people. The project has met with a positive response, and other organisations and companies, including hotels, are now showing interest in operating a drinking water plant. 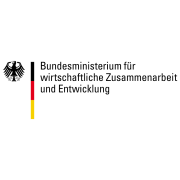 Étude Économique Conseil (EEC Canada) Inc. is a private Canadian consulting firm headquartered in Montreal and maintaining capacity of intervention in Europe. Since its creation in 1981, EEC Canada delivered services in all continents around the world. Recently, the control of IberGeo Canada Inc. was transferred to EEC Canada, thereby endowing itself with additional experience and savoir-faire for its operations in Latin America, providing to its clients an integrated set of services, ranging from a conceptual understanding of the issues to direct operational support. In addition, EEC Canada has consolidated its capacity building in Africa by offering under its umbrella the services of a full-fledged permanent team of African national professionals. Today, Étude Économique Conseil (EEC Canada) Inc. is an important trilingual (English, French, Spanish) consulting firm in North America in the field of applied economics and management consulting. Furthermore, some key senior staff members are fluent in Portuguese and Arabic. Arrangements with other firms also allow EEC Canada to offer services complementary to its own, throughout the Americas and Europe. EEC Canada cultivates lasting relationships with its customers. The professional services of its experts, while often originally contracted for one-off studies, are frequently carried on in the context of long-term service arrangements. These long-term relationships, becoming more and more characteristic of EEC Canada’s work arrangements, have developed thanks to the professionalism and ethics of the firm’s consultants. Internationally, EEC Canada provides a wide range of expertise, notably in Africa, Asia, Europe, Latin America and the Caribbean. The members of the EEC team have had the opportunity to consult directly to decision makers at the large development finance institutions (World Bank, European Bank for Reconstruction and Development, InterAmerican Development Bank, Asian Development Bank, UNDESA, UNDP, UNIDO, etc.). Also, EEC Canada has worked in the context of projects financed by these multilateral organisations and by other bilateral agencies such as CIDA. 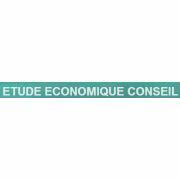 The projects Étude Économique Conseil (EEC Canada) carries out are in the fields of applied economics and management, and cover a broad range of sectors of activity.